Fully compatible with all iPhone camera apps and comes with three stylish wearable pendants. Have to remove the case to fit the clip on the iPhone. 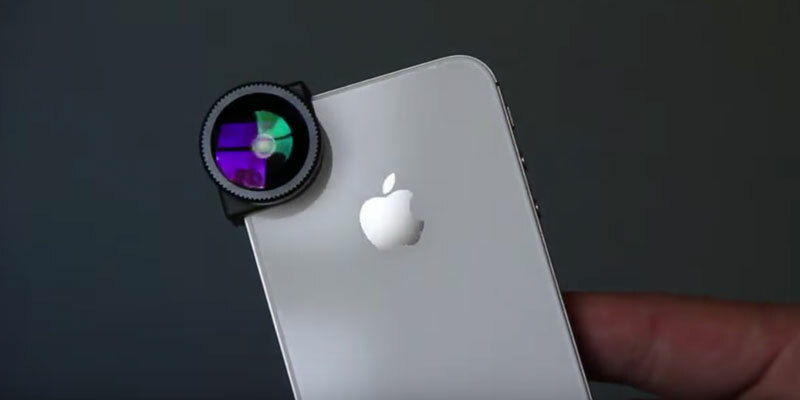 Wonderful choice if you want to ring the changes on your iPhone 6 camera and good for snapping selfies with friends or creating panoramic photos. Jazzy look and wearable pendants will surely catch the eye. The clip doesn't have movable elements, therefore, it will serve longer. The clip covers the iPhone flash on the rear side. 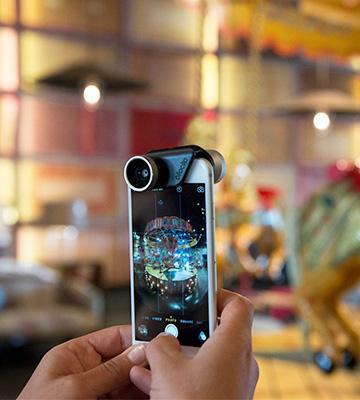 Solid camera lenses with advanced optics will refresh your view on the iPhone camera with new possibilities. 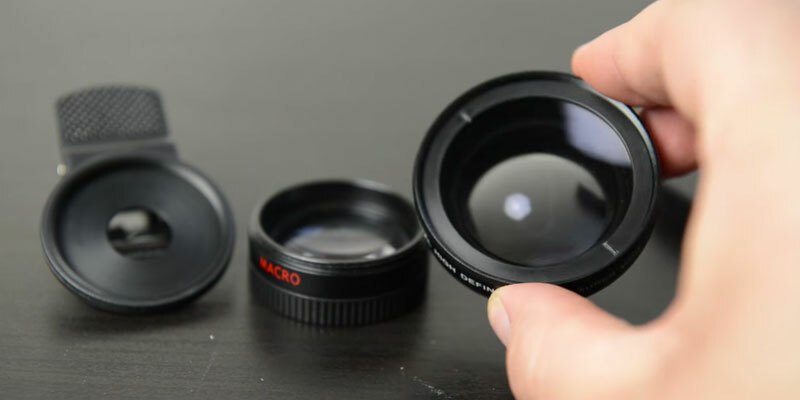 Lenses have durable aluminum rims, and macro lens focus has a great reach (1.96 inches). The flash of a device might be blocked by the clip. 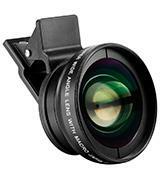 Universal choice for wide-angle and macro shooting, compatible not only with iPhone, but with lots of other devices. Less distortion is achieved, using included special hoods. Doesn't fit over protective case. With these lenses, you can readily shoot magnificent macro photos both indoors and outdoors. 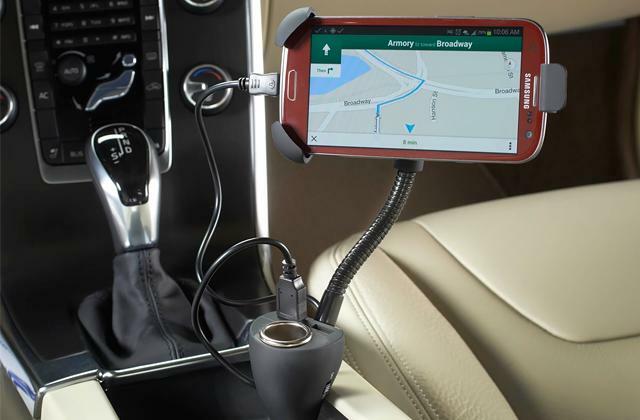 Supplied with universal phone holder, so you can use tripod with different phones. Also has focusing dial for manual adjustment. 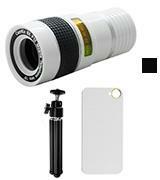 Overall durable Telephoto lens for your iPhone with nice additional features. 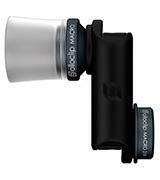 Olloclip 4-IN-1 clip OCEU-IPH6-FW2M-SB is a 4-in-1 set with the following lenses: Fisheye, Wide-Angle, 10x Macro and 15x Macro. With Fisheye lens you can perform visual marvels by changing the shape of objects around the focus. Fisheye lens captures almost 180° of viewing angle, making circular photos, capturing lots of objects and creating an interesting composition. Wide-Angle lens, as the name suggests, allows you to take professional-style photos with almost twice as wide angle of view as the built-in iPhone camera. 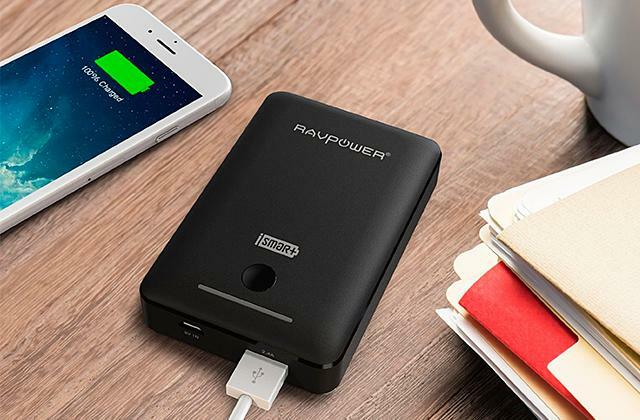 It’s perfect for snapping selfies with large company of friends or shooting panoramic landscapes. And if you love taking pictures of small objects with the accent on tiny details, there are two macro lenses with 10x and 15x magnification. With this set you can unlock the full potential of your iPhone camera and forget any limitations of the standard iPhone 6 lens. Mobile lens kit Olloclip 4-IN-1 Clip OCEU-IPH6-FW2M-SB was created specifically for iPhone 6/6 Plus and iPhone 6S/6S Plus. So make sure your device is one of those before buying this clip. Improve your creativity videos and photos by simply clipping it on your iPhone like a clothespin. When mounted, two lenses are positioned to match both front and rear cameras. That way you can enhance your videos and photos in any mode. Furthermore, the lenses don't require special software and are compatible with literally any camera app. 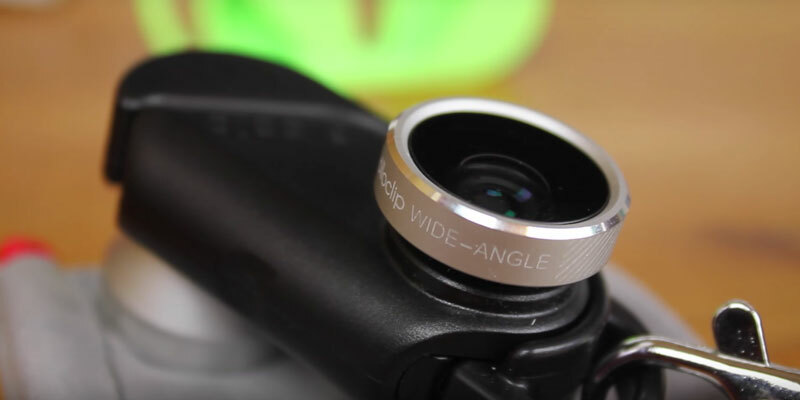 Like DSLR lenses, these olloclip 4-IN-1 needs protection from scratches. That’s why it’s supplied with two lens caps. 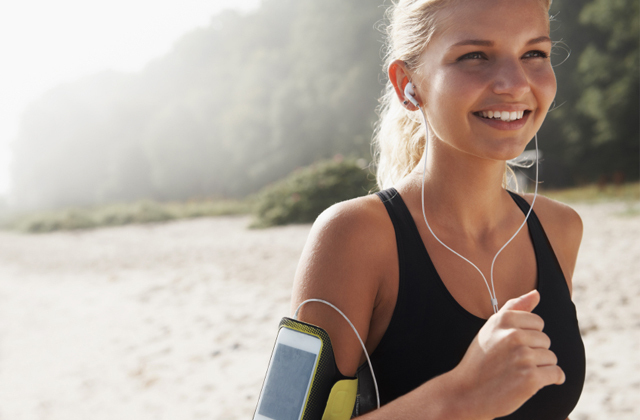 Put them on lenses during transportation to keep them safe and sound. Since each lens is made of the precision coated grounded glass, it has a high light transmission coefficient. Therefore, you can take photos with the best possible quality. 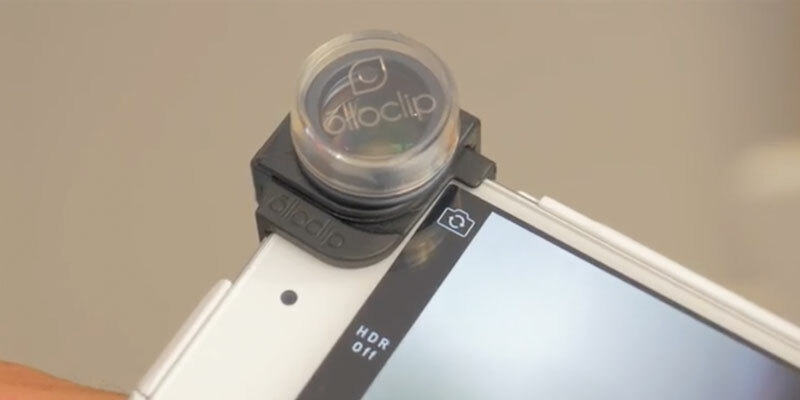 You can easily fit the clip right on your iPhone and switch the lenses in a matter of seconds. Just unscrew the lens from the clip and screw in the next one. It takes around 360° rotation to do so. Finally, there are three wearable pendants, so you can bring the lenses with you as a stylish accessory and readily switch from one to another. 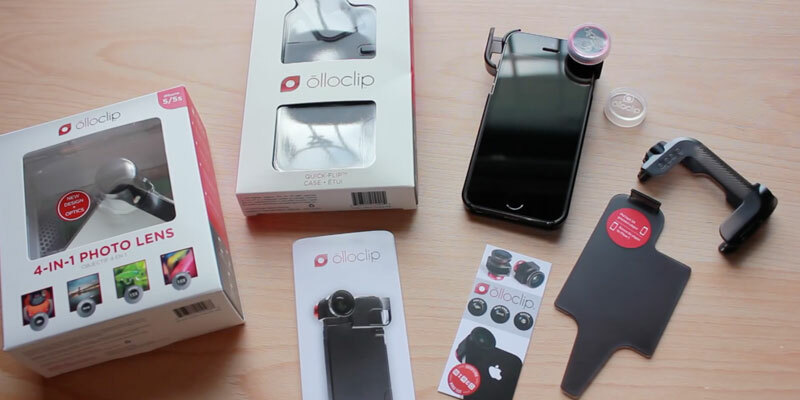 Olloclip 4-IN-1 clip comes with four different lenses for separate use. These are Fisheye, Wide-Angle, and two Macro lenses with 10x and 15x magnification. 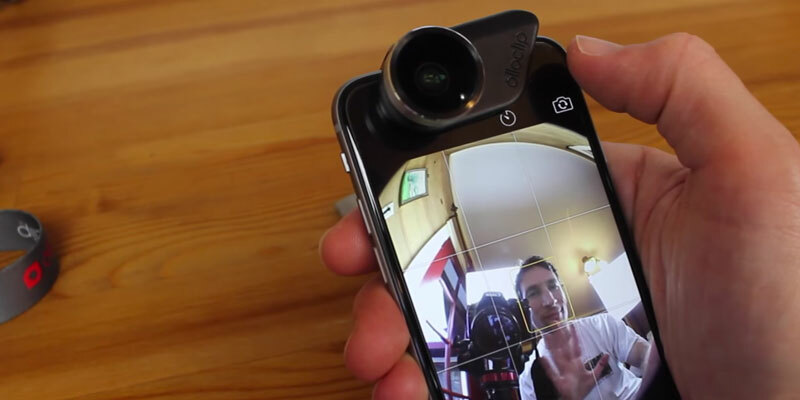 Fisheye lens has a wide 180° angle of view for making spherical artistic photos. The Wide-Angle lens is used mostly for capturing panoramas and scenery with lots of objects due to the wide field of view. With 10x and 15x macro lenses you can put an accent on the smallest details of small-scale objects, magnifying them by several times over. With Olloclip 4-IN-1 Fisheye, Wide-Angle, and Macro Lens you can greatly extend the boundaries of your iPhone capabilities. However, this accessory is designed for iPhone 5, iPhone 5s and iPhone SE only. Then again, it works perfectly with any iPhone camera apps that you like. Another advantage is that you can use it for both rear and front cameras. 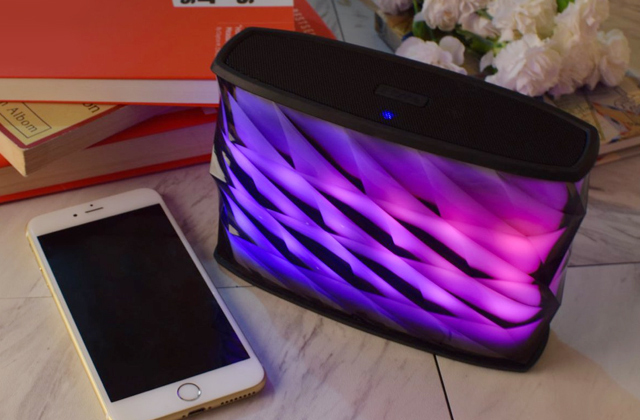 Mount it by sliding the piece on top of your iPhone and it’s ready to use. Even more, it comes with a small filler, making it compatible with 5th and 6th gen iPod Touch. First of all, with its stylish design Olloclip 4-IN-1 is an undeniable eye candy, also available in different colors. Switching between lenses is rather simple. Unscrew Fisheye to uncover Macro 15x lens, and, in the same manner, Macro 10x is hidden behind Wide-Angle lens. The lenses were mold with coated glass and boast multielement optics. Created to permit as much light as possible, the lens provides the picture with supreme clarity. The lenses are extremely lightweight, so do not worry about the camera stability while focusing on a subject. Overall, it is a versatile accessory for capturing best moments with your friends and bringing forth your inner artist. TECHO Professional HD Camera Lens is the most reasonable choice when you want to make masterfully composed photos, but don’t have the clumsy DSLR camera at hands. It comes with two lenses. 0.45x Wide-Angle lens is excellent for getting panorama-like snapshots and helpful for selfies or a group photo. The second lens is 12.5x Macro that enhances the object’s size, giving view to itty-bitty details, usually unseen to naked eye. TECHO Professional HD Camera Lens can be used on many different mobile phones, such as iPhone 6S, 6S Plus, 6, 5S, HTC, Samsung and others. But there’s more! 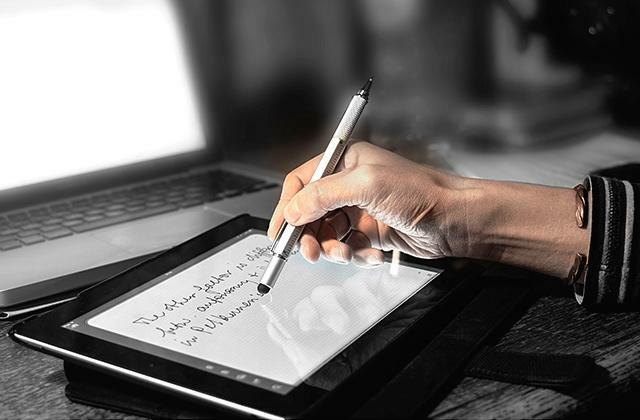 It’s fully compatible with many tablets, including iPad, and even some digital cameras. The only drawback is that, due to the clamp's size, the lens won't work if the distance from the camera lens center to the nearest edge of a device is bigger than 1 inch. There are only two lenses in this set, however, you can combine it with any DSLR pro lens with 37mm thread due to the exclusively designed clip. The lenses have the threads on both sides, that way you can achieve different results by combining the lenses on top of each other or using optical filters. Actually, manufacturer ships the two lenses screwed together. So, don't forget to detach them. TECHO Professional HD Camera Lens kit is made from professional glass and has antiglare coating, durable metal rim and comes with universal plastic clamp. 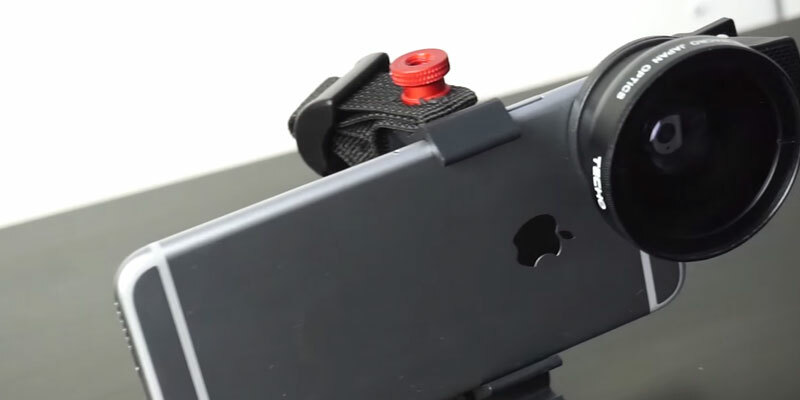 The clamp can be used with any 37mm DSLR lenses and easily clips on many mobile devices. There are also 2 plastic caps to protect the glass from scratches and leather pouch to keep them safe during transportation. The lens rims are made from light-weight aluminum to take stable shots. Using 12.5x Macro lens, keep the edge of the lens at 0.4 – 0.8 inches for the greatest results. All of that combined makes this product fun and easy to use. 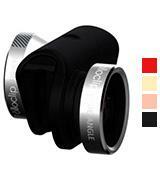 Olloclip OCEU-IPH6-M3-BB is a 3-in-1 kit of quickly changeable lenses. The 7x, 14x and 21x Macro lenses are designed for taking pictures as close to the object as possible with attention to the tiniest and thinnest details. And combined with iPhone 6 digital zoom, you can get up to 100x awe-inspiring magnification, making it a likable choice, if you want to take a journey into the macroverse. If you want to take a photo with a nice bokeh or blurry background you can use any of these. However, note that for the best grip it’s better to keep the 7x lens at 43mm from the subject. 14x and 21x Macro lenses require 20mm and 16mm accordingly. 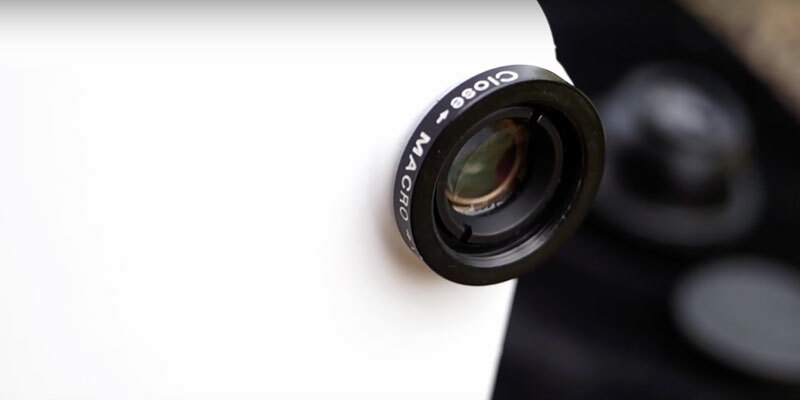 These Olloclip Macro Pro Lenses are mounted on a clip that pins to the top of your iPhone. The pin was designed uniquely for iPhone 6/6S and iPhone 6/6S Plus and works with both rear and front cameras. 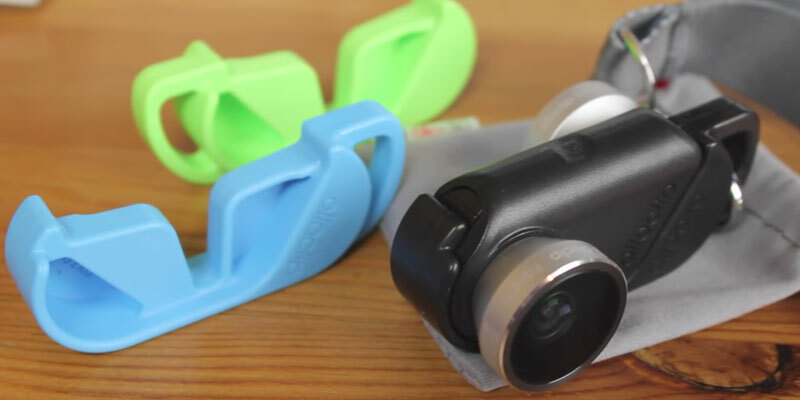 The lenses can be screwed in and out of the clip in a swift motion, allowing you to quickly switch between them. 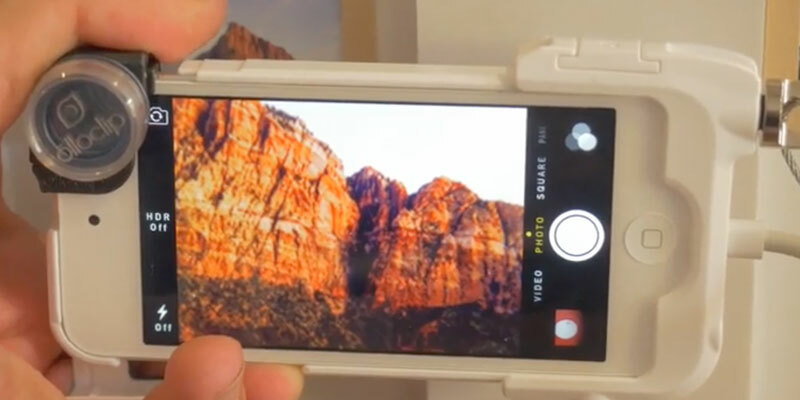 This gadget can be used with any iPhone camera apps, but, obviously, you can't take sharp panoramic photos or selfies with macro lenses. 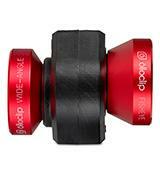 Olloclip OCEU-IPH6-M3-BB Macro Pro Lenses are made from 6-element optics for improved image sharpness and top-level precision. Lightweight and compact design also adds to stability as shooting in macro requires a steady hand. 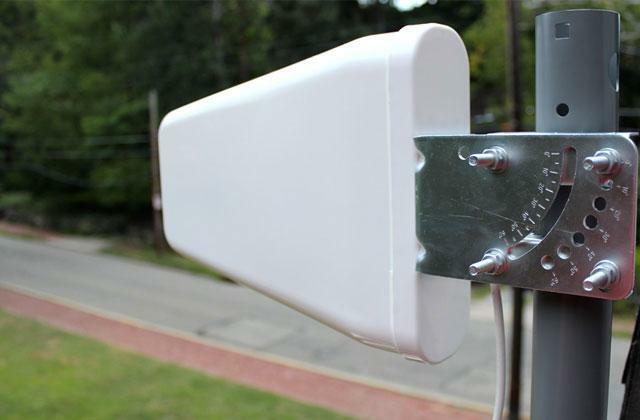 The most important feature is the InstaFocus™ hoods, that comes along in a package. InstaFocus™ hood is a semi-transparent plastic tube, that is put on the lens to diffuse the light. 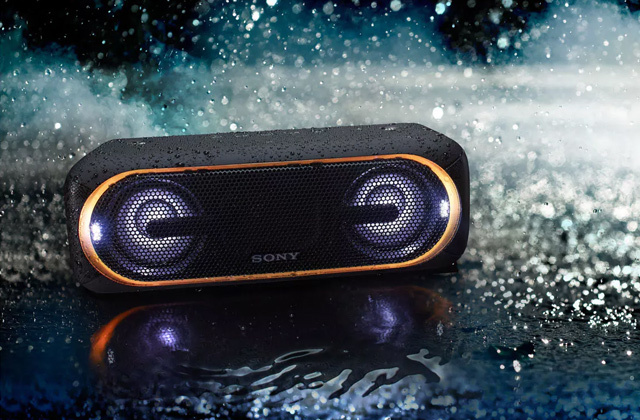 They are extremely useful when you are shooting outdoors or in uneven lighting. The hoods were also designed to show you the preferable distance to the object for a crisp focus. 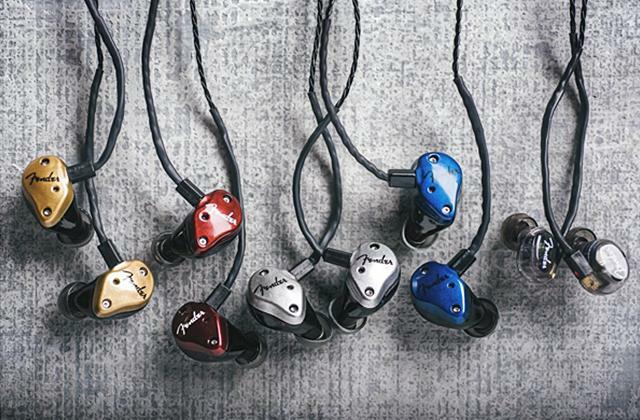 Finally, there are 3 multi-colored wearable pendants to always have the lenses with you. 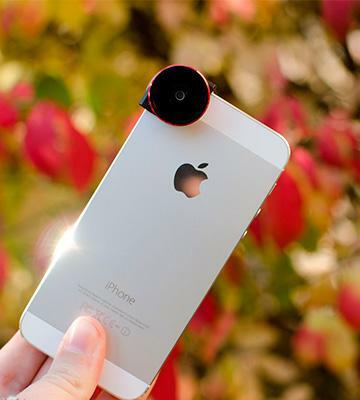 When it comes to taking stable photos from the distance with iPhone 5, you want CamKix Camera Lens kit. 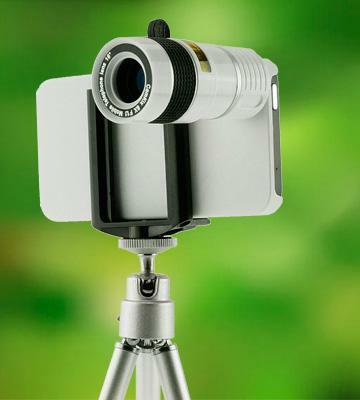 It comes with one 8x Telephoto lens, giving your iPhone camera the necessary boost at any time. Telephoto lens means that you are getting magnified image through it, providing you with sharp and clean photos. Aperture is fixed at f1.1 and transfers as much light as possible, ensuring your pictures to be just as bright as without the lens. The CamKix Telephoto lens also has a focusing dial, so you can manually adjust focus on different objects along the field of view. 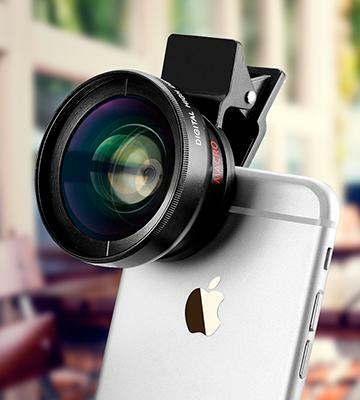 CamKix Camera Lens is compatible with iPhone 5, 5S and SE, as the lens is attached to the special protective hard case that fits on these models only. 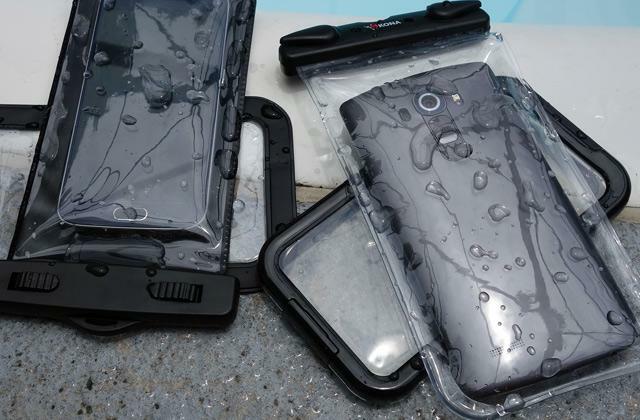 Please note, that the case is designed so that you can use the lens only with a rear camera. 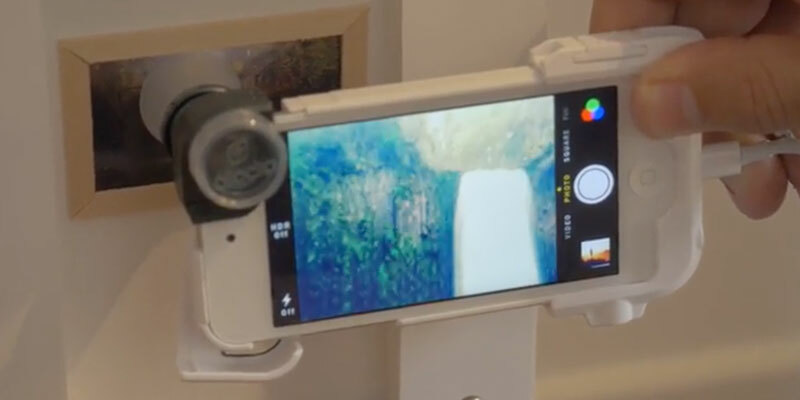 The lens is screwed into the case, without touching the phone camera glass and is ready to use right away. 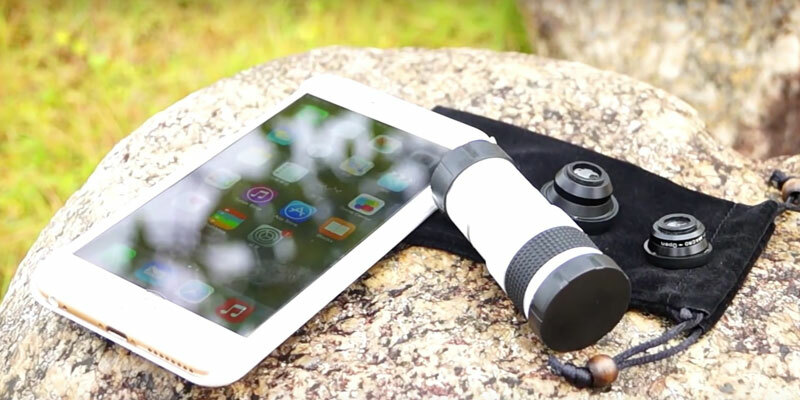 CamKix Telephoto lens is a hardware accessory, meaning it’s compatible with any app. A main difference from other products in this review is that CamKix Camera Lens kit comes with a foldable tripod and a universal phone holder to hold the device at a stable position to take the shots with unbelievable clarity. The tripod can actually be used with any mobile device that fits into the holder (with width from 2.1" to 3.4"). Just pull the retracting frame by a special pin, put the phone in and release the pin to fix it in the holder. Easy as that. Along with the tripod and universal phone holder for stable shooting, CamKix Camera Lens kit comes with 8x Telephoto lens, iPhone hard case, 2 lens caps to protect the glass from scratches and dirt from both sides, and a microfiber cloth for cleaning. Speaking about usability, the lens can be easily screwed in at any time and used immediately after that. If iPhone autofocus can’t lock on the target, you can always adjust the focusing dial on the Telephoto lens yourself from 3 meters to infinity. 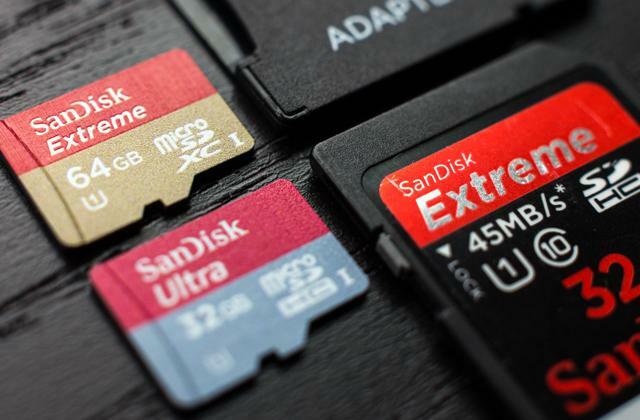 Pocket-size is the real advantage at concerts and events, where SLR cameras are prohibited. Surprise your friends with professional-like photos with this Telephoto Lens, zooming-in on any objects with awesome precision. What is an Iphone Camera Lens? Imagine turning round the corner and suddenly looking at an awesome scenery with bright colors and perfect lighting, but not being able to capture it without DSLR-camera. Worry not! 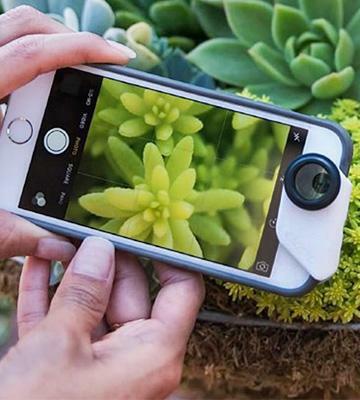 Just buy one of these compact pocket-sized lenses for your iPhone and never again will you miss a chance to take those pictures. 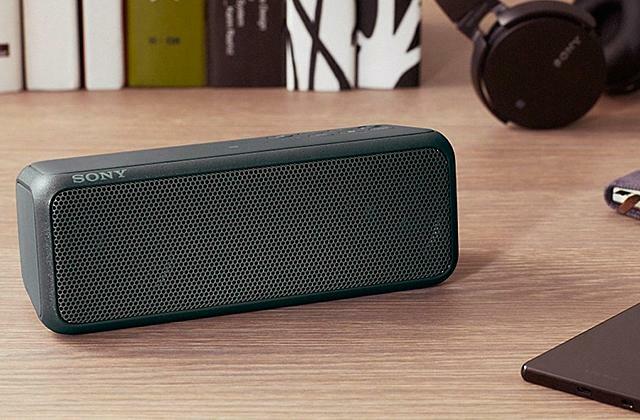 Grab and share the most memorable moments with your friends with one of these. 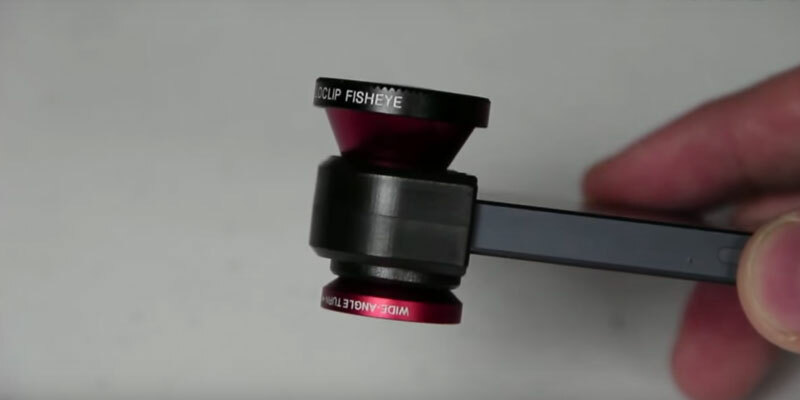 Basically, iPhone lenses are small but fully functional lenses, just like the ones used in SLR cameras, and have different qualities and purpose as well. They are truly much more convenient than hauling your DSLR camera around or at events where big cameras are not allowed. Without a doubt, iPhone cameras are outstanding, but combine them with those lenses and you will be blown away with all the new ways to express your imagination. Furthermore, you can take not only scenery photos, but there are Macro and Telephoto lenses to magnify the object to focus on all the itty-bitty details. Take a look at our brief review of the most popular lenses, however, don't forget to check out other products for daily use of your iPhone, such as car phone holders, mobile printers and stylus pens. Fisheye lens - for unusual circular shaped photos with full 180° wide angle of view. A nice lens to snap selfies with a large group of people or to direct attention to the single object, but also capturing the background, to show the context of the place. Wide-Angle lens - classic lens with almost twice the usual iPhone camera viewing angle, allowing more things along the horizontal line into the photo. It's usually used for group photos or panoramic view. 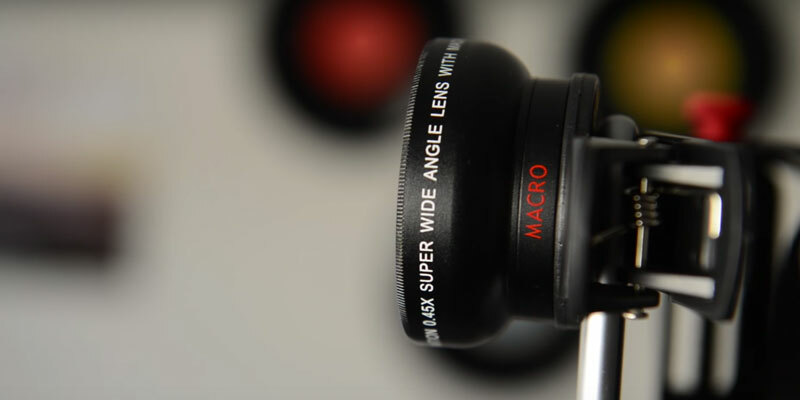 Macro lens - used to magnify things in a very close proximity to the camera. It has a shallow field of focus, allowing you to spotlight specific details, like flower petals or dew drops. Telephoto lens - another type of magnifying lens, however, this one makes distant objects look closer and has a long focus. Great for picking out and capturing one or several distant objects. The next is compatibility. Some lenses can be used only with specific iPhone models. We encourage you to check out the way the lens is mounted on the phone and pick-up the one you like the most. Usually, it is a clothespin-like clip or iPhone case. 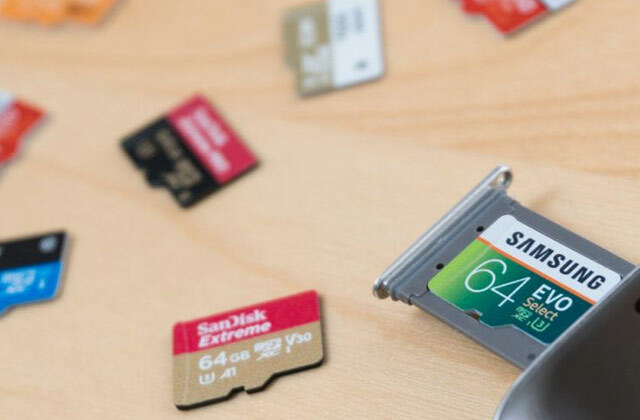 The clip can be easily fixed on the phone, however, pay attention not to scratch your device. By default, lenses can be changed with a screwing motion. Finally, pay attention to some additional features, like different color schemes, lens protection caps, pouches, tripods and, above all, different amount of lenses.